Welcome to the Canon connection guide! The process of connecting Cascable to your camera is usually very simple. This guide will walk you through the steps. 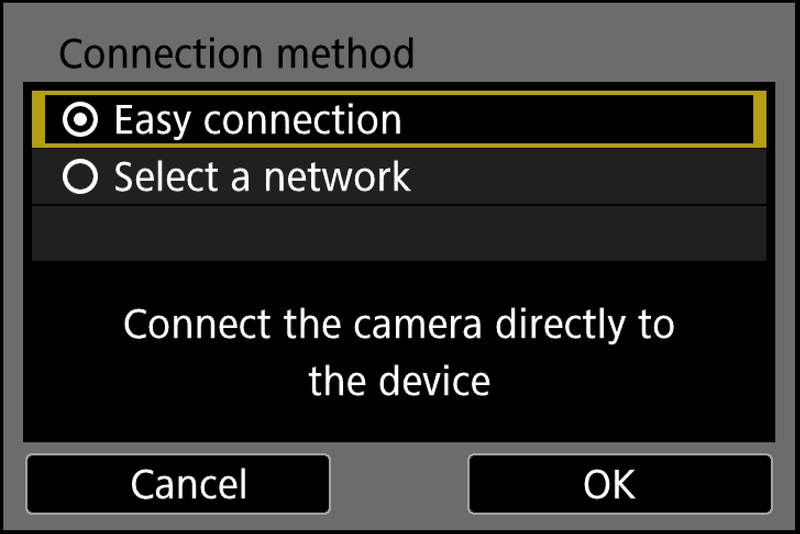 If your camera has separate options for connecting to a desktop computer or a smartphone, choose whichever one is best for you – Cascable supports either. 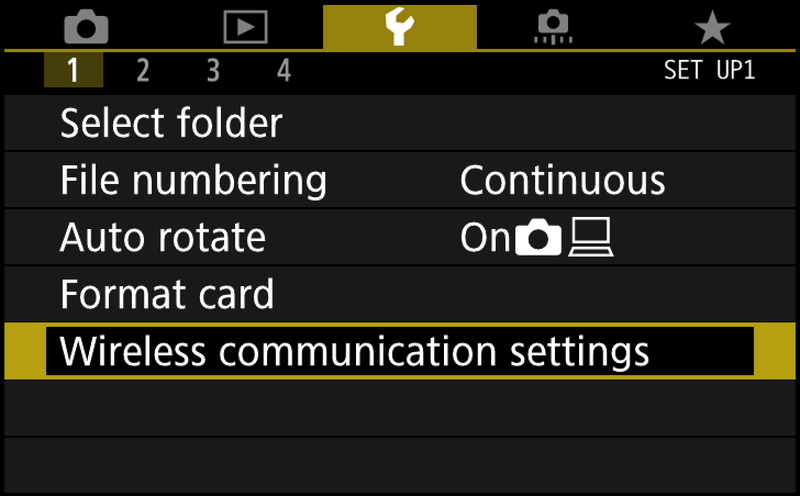 Press the Menu button on your camera and navigate to Wireless communication settings in the Setup menu. 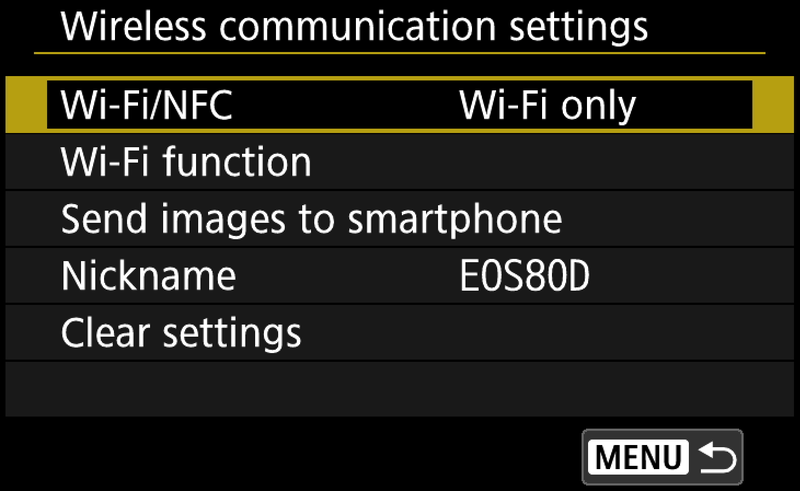 Make sure the Wi-Fi/NFC setting is set to Enabled. 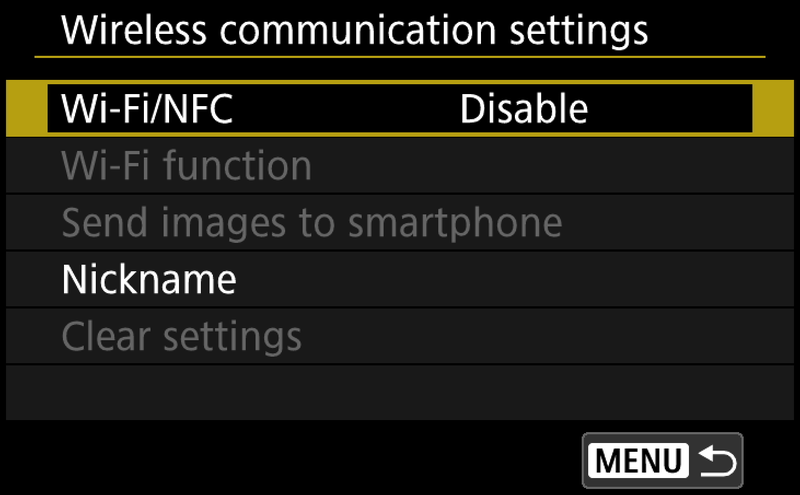 You do not need NFC enabled here, just Wi-Fi for use with Cascable. Follow the prompts through to set up a Nickname for your deivce. 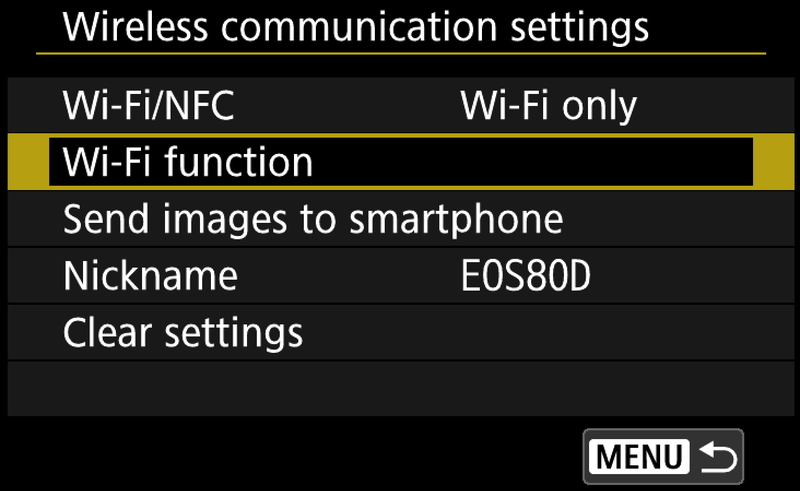 Now select the next option down in the Wireless communication settings menu called Wi-Fi Function. 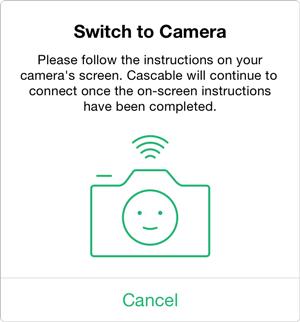 To use Cascable for iOS, select the Connect to smartphone option here. The camera will now guide you through the connection settings to connect to your iOS device. Select Easy Connection. On your iOS device, open Settings and navigate to Wi-Fi, then select the WiFi network and enter the password that’s displayed on your camera’s screen. Launch Cascable on your iOS device. It should automatically detect and connect to your camera. 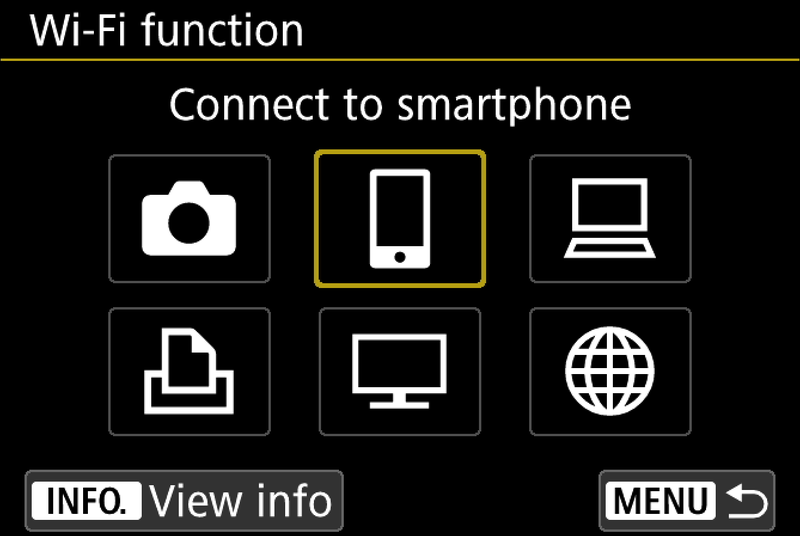 If not, tap the Connection Indicator at the top of the screen, then tap Connect next to the name of your camera. If you’re still having trouble getting Cascable connected to your camera, or Cascable can see your camera but has intermittent trouble connecting to it, try the following.